Ever since the conception of the X knot in 2006, the X fence brand has been proven worldwide. This premium wire netting offers great advantages in simple erection, strength and longevity. The smooth, unobtrusive, cold-forged X knot joint and one piece vertical wires provide a long lasting, binding joint. X fence leads the way for ease and speed of construction, out-performing other types of fencing. X fence mesh patterns have the capability to fence in livestock, horses, game animals,camelid, beavers and poultry, whilst also keeping out badgers, boar, otters and deer. It is also a strong intruder defence. Whatever your requirements, X fence provides a powerful,effective, secure barrier. Why X fence X knot? X fence is manufactured using only the highest quality primary metals and the very latest technology and machines. Proven tests have shown the X knot to be 24% stronger than any other knot configuration. The unobtrusive X knot provides an extremely strong joint with a smooth surface, greatly reducing the risk of harm associated with other types of abrasive knots. The X knot locks vertical and horizontal wires together in a long lasting binding safe strong joint. It leads the way for ease and speed of construction and out performs other types of fencing such as post and rail, and barbed wire strands. This provides a cost effective barrier for both enclosure and exclusion. 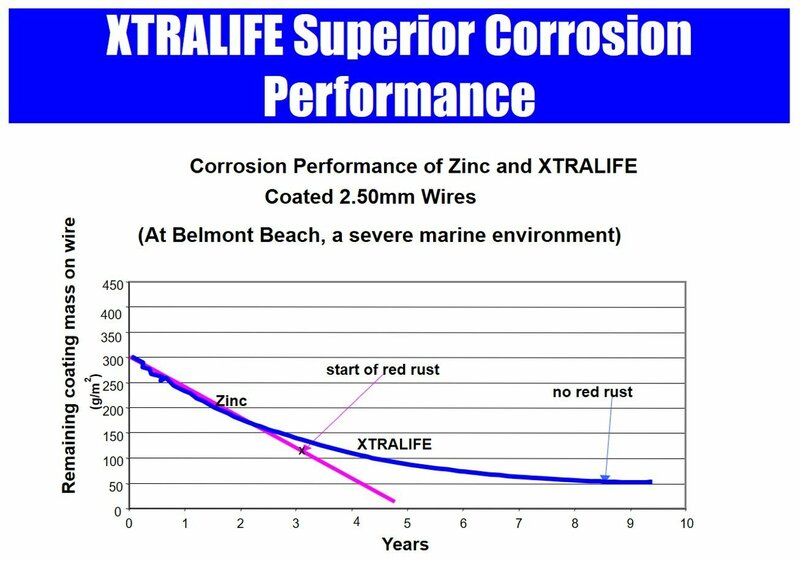 The extra benefits of Alu/Zinc XTRALIFE coated wire are that it is more ductile and more resistant to fatigue. The wire used in the production of X fence has an improved coating which provides greater durability. XTRALIFE wire offers superior corrosion resistance, lasting up to four times longer than heavily galvanised wire. The traditional galvanised coating can have the tendency to be brittle and crack when tying off, whereas the XTRALIFE Zinc/Alu mixture provides a more ductile wire and will not crack when the wire is twisted, making it easier to erect. The tensile strength and coating used in the manufacturing of X fence make it the wire of choice with both fencing contractors and equestrian establishment alike.